After our long trip to Korea we took a break for the day and got some rest. My roommate was a student from Centennial named Phase, though he left the day after. As he showed me around campus I was quite shocked to see the infrastructure and beautiful scenery. Kookmin may be just an average university in Korea but it still is amazing. I will post photos of the campus later on, for now I will post some things I did on the first days of my exchange. 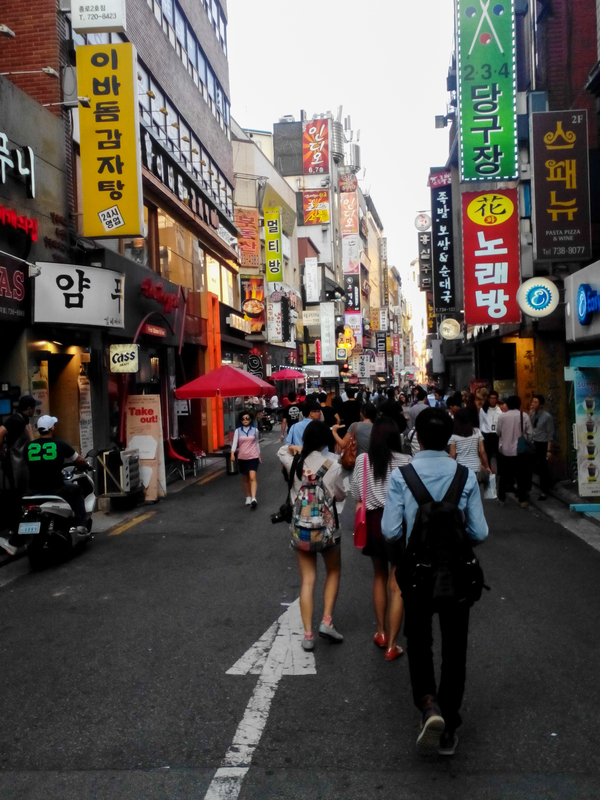 The next day, Urooj decided to get some of her Korean friends to show us around. 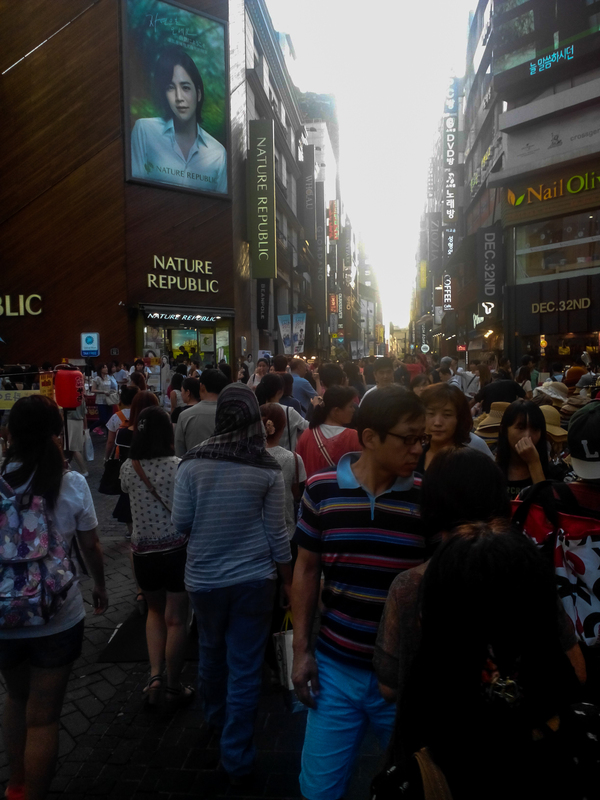 Our first visit was Myeong-dong, Korea’s most famous market in the heart of downtown (which literally is called Myeong-dong in Korean). It’s a huge market with all kinds of stores and street vendors, though its hard to find items for men (unfortunate for me). One of the things we enjoyed the most was the cafes which always seem to be of high quality. 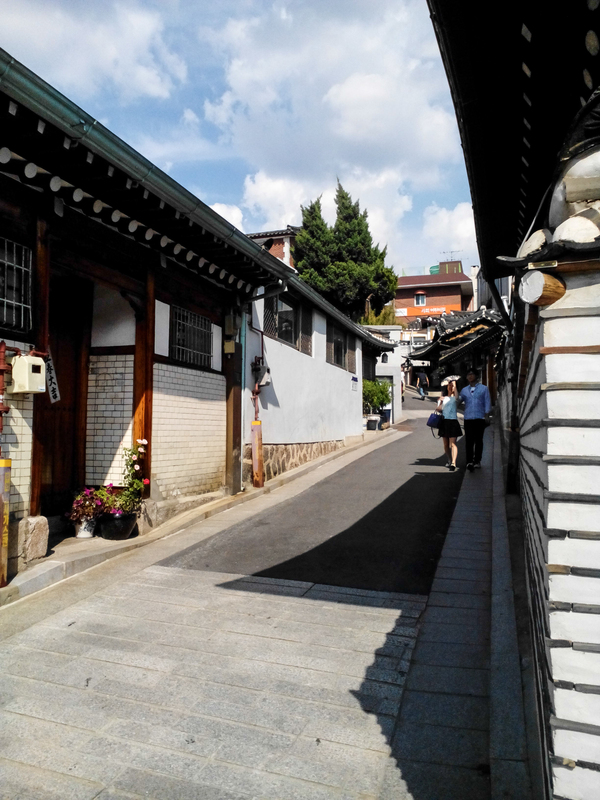 Soon after we decided to find something more traditional, so we visited an area famous for its folk homes. It took us a few hours of walking to see everything; there were also work shops to teach visitors how people lived years ago. I didn’t find it too amazing since it was mixed with modern homes, so it looked odd. I think we would have had a better experience if we seen a bit more and went into one of the work shops. About a week after my arrival, I was invited by a friend to join him on a group field trip. 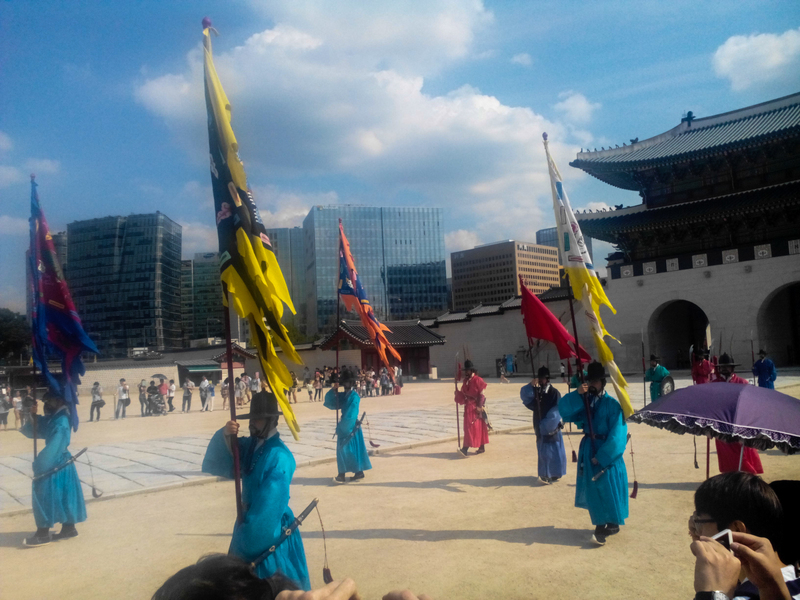 The trip was to visit a traditional food market (seen below), Korea’s largest palace, and finally the Han river light show. 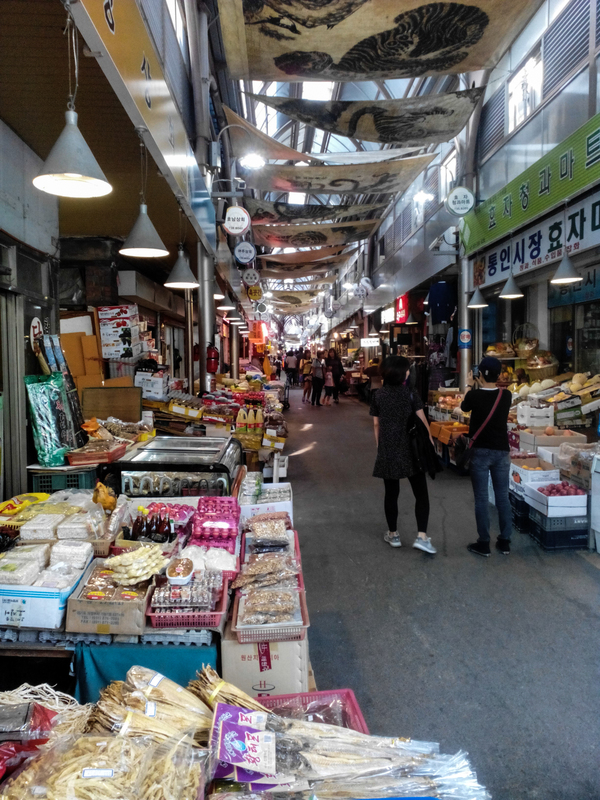 These food markets can be found all over Korea and are very cheap. The food is very different than what you would find elsewhere in Seoul, though it was still delicious. 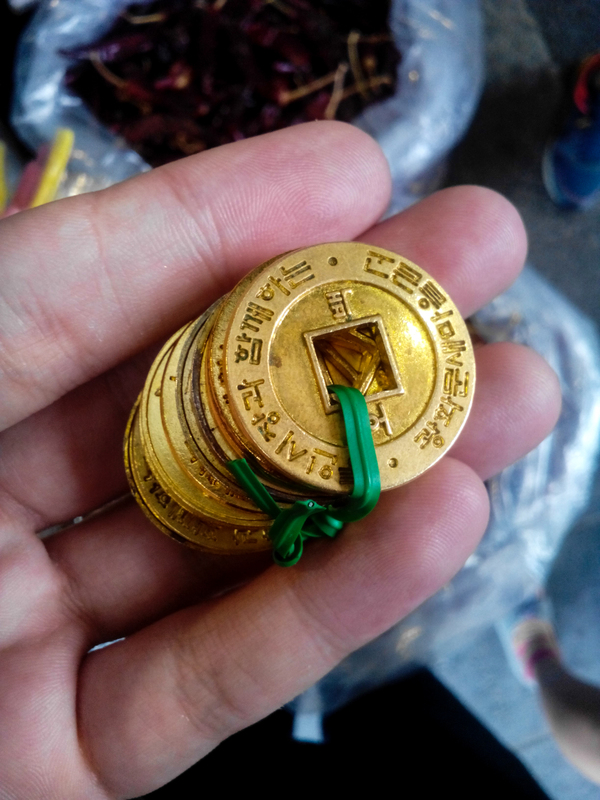 These coins are used to purchase food in the traditional market. I don’t think they’re used anywhere else; each one is about 50 cents Canadian. 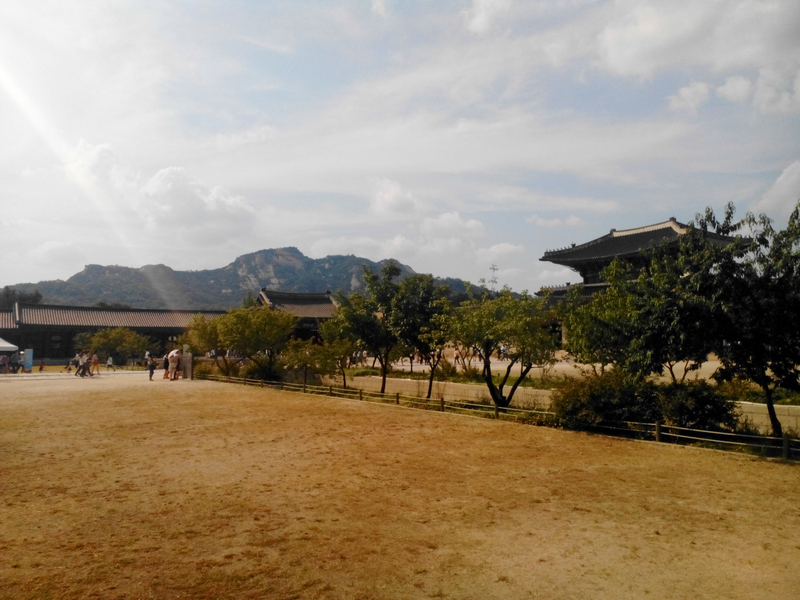 This is the entrance from inside Korea’s largest palace, Gyeongbokgung. There were many visitors probably because it was still summer and the ceremony’s held were for a short period of time. This is the main palace, inside you can find a throne. I believe here is where a ceremony would be done when a new king is given the throne; also when the king had a message for the people it would be done here. As you can see infront of the palace are some sort of stone sculptures, important individuals would sit here according to the importance they have in the palace, more important persons would sit inside the palace. 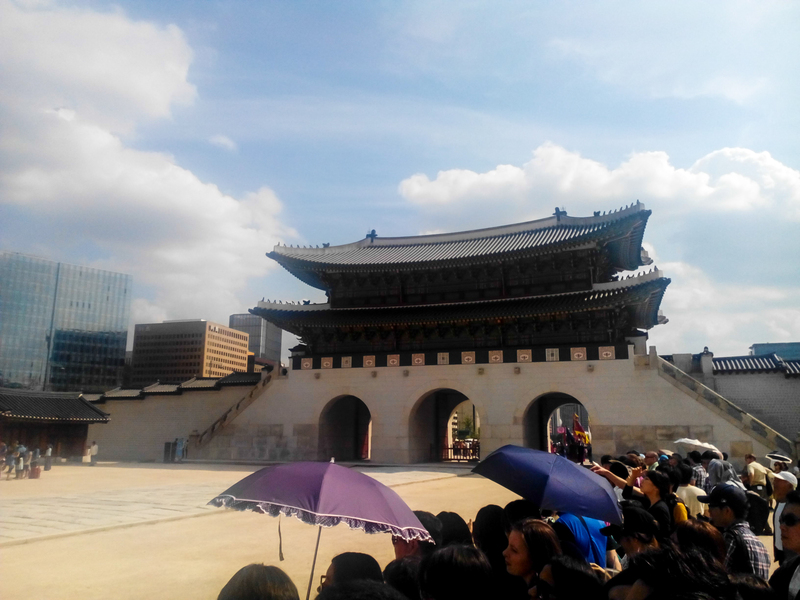 This is the view of the palace from outside the walls. 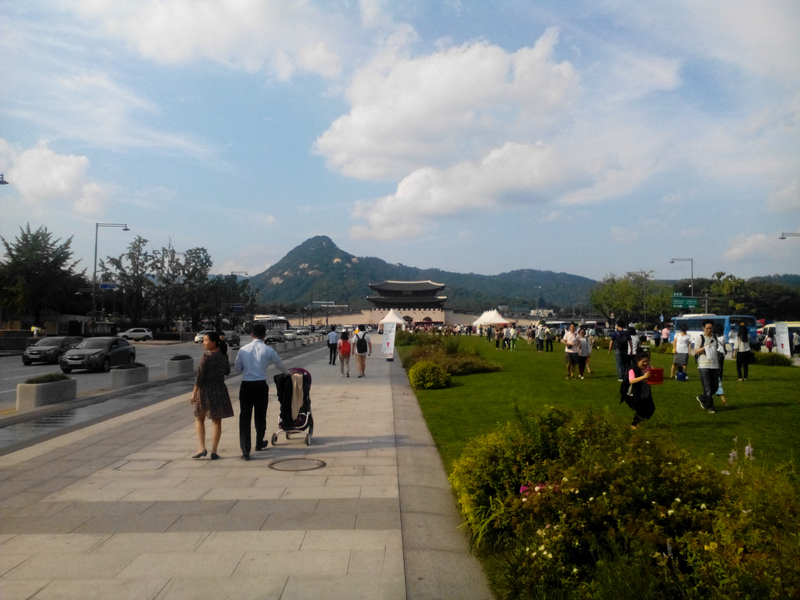 Beautiful mountains surround Seoul and Korea. There are many events going on in this area since it is a famous tourist attraction. I’m sure almost every tourist comes here at least once to visit the palace. 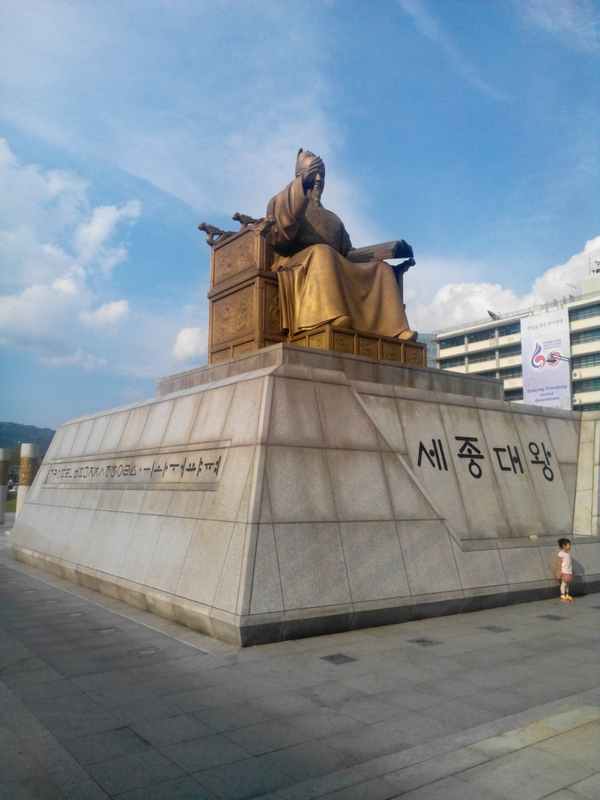 This is a statue of King Sejong. He is the one who wrote Hangul (the Korean language). I hear it is the most scientific language and I would not be surprised if that is true. From what I have learned already of Hangul I have fell in love with how simple it is to read and write, though I can not say the same for how it is spoken as it is extremely difficult. After a long day, the group decided to find a small restaurant in a nearby market, and then head out to the Han river to watch the light show. I did not post any pictures of it because my camera was not good enough for night photos, though maybe next time I will. That is all for the meantime, I know I have not posted anything since my arrival but I do plan on posting more often. 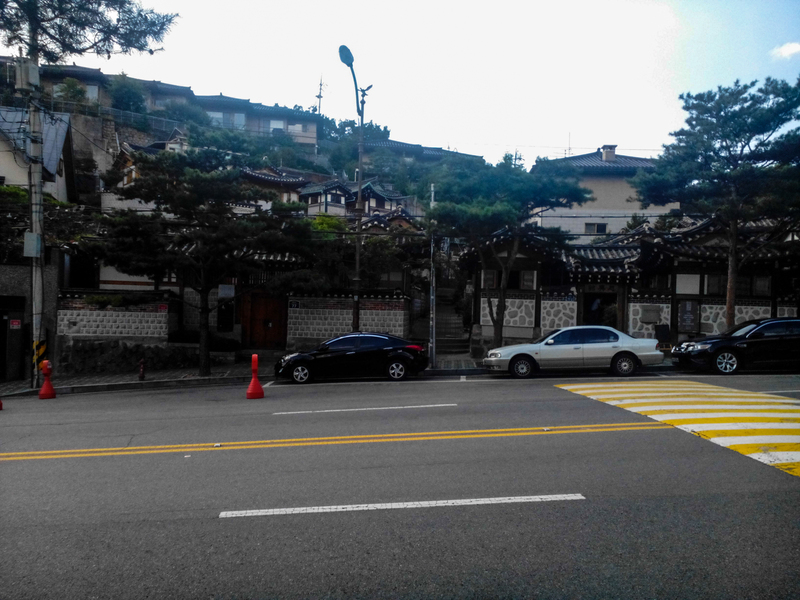 So far my experience in Korea has been amazing, I would recommend anybody to come here if they have the chance. 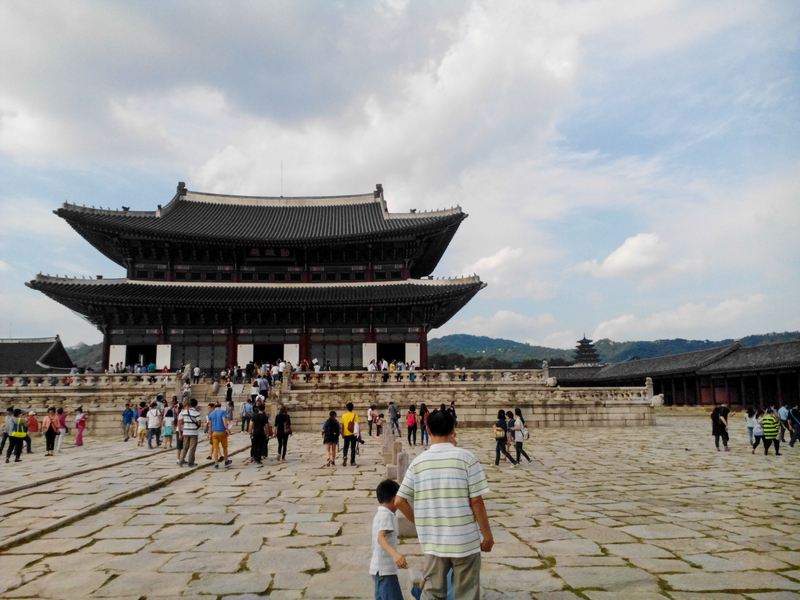 There are many things to experience in Korea, and it is always hosting various events throughout the country which many tourists and locals participate in. I plan on returning here some day to experience it a bit more and have a further understanding of its culture.